It seems that these days, you can’t go anywhere without hearing about artificial intelligence (AI). It really is one of the hottest buzzwords right now. But as we looked at in the previous chapter of our tale, a lot of the buzz around artificial intelligence is nothing more than that: a whole lot of noise. Lots of tech companies claim their products have AI. However, most are only using it at the most basic level, when there is so much more it could actually do for you. 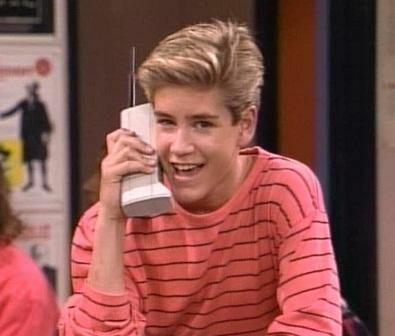 Remember when you used to actually use your cell phone only to make calls? When cell phones were first introduced, their purpose was to make sure you were accessible when you weren’t at home or in the office. If you needed to make a call while you were out, you could use a pay phone (remember those? ), but having a cell phone on you at all times meant your family and friends could reach you anytime, no matter where you were. Once the new technology of cell phones became widespread, everyone knew they would eventually replace pay phones and home phone lines. But that’s just looking at things from the most basic level. These days, cell phones have evolved far beyond basic – beyond even what anyone could have anticipated. Talking on the phone is probably the activity you perform the least with that little rectangle you carry around in your pocket every day. Besides being able to make phone calls, our smartphones have also become our cameras, music players, agendas, personal computers, navigation systems, wallets, alarm clocks, TVs, gaming systems, and more. If there’s something in your daily life that your phone hasn’t replaced yet, an app to do so probably isn’t far away from becoming reality. Personally, if my phone had a button I could press to do my laundry for me, I’d be ecstatic! It’s in that suboptimal state that AI exists in right now. Most AI-based technology out there (a.k.a. the basic kind) only works off data that is pre-programmed into it and can’t learn in the way that more advanced AI can. Advanced AI technology is able to learn and adapt to the user without additional programming (thanks to advancements like machine learning). In procurement, AI has the potential to solve a lot of real problems. The problem is, basic AI only solves basic problems – not real ones. The article goes on to explain that while the chatbot “might resolve a business challenge,” it “does not accurately represent an AI product.” The AI that chatbots use can answer your most basic questions, essentially from a pre-determined script. If you have real problems that need solving, you’ll be better off with a solution more intelligent than that. When investing in a piece of software for your organization, you’ll save yourself a lot of time and money by understanding what kind of AI is in it before you buy it. Is it the basic kind, like a chatbot or simple automation tool, or is it actually something more advanced and intelligent that can provide you with real results? Find out more in our third and final post in this series! Watch our webinar to learn more about how AI is shaping the future of indirect procurement!